For 20 seasons, the characters from the award-winning PBS series ARTHUR, have helped prepare children for success in life by modeling prosocial behaviors and emphasizing the importance of communication as they navigate the challenges of childhood with empathy, responsibility, and respect for self and others. 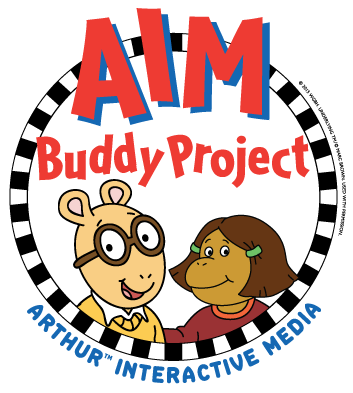 Members of WGBH - Boston’s public broadcaster and the producers of the award-winning ARTHUR series - will introduce you to the Arthur Interactive Media (AIM) Buddy Project - a new initiative aimed at helping young children build their social, emotional, and character skills and attitudes. AIM Buddy Project leverages the power of Arthur, interactive comics and games, and a cross-age buddy framework to encourage children to explore and talk about five topics - empathy, honesty, forgiveness, generosity, and learning from others - that help lay the foundation for character development. Learn how the AIM Buddy Project online comics and games, activities, cross-age buddy framework, and other resources can be used in afterschool and out-of-school-time programs to reinforce the “anytime, anywhere learning,” bridge the technology gap, reinforce conventional classroom learning, and extend social and emotional learning beyond the conventional classroom.